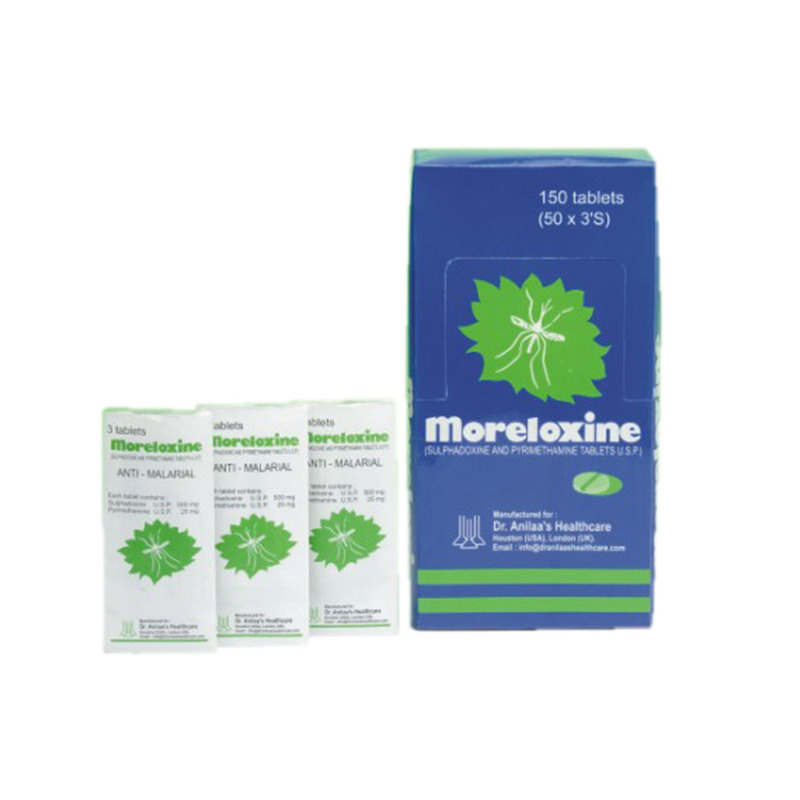 Moreloxine (Sulfadoxine and Pyrimethamine) Tablets is an antiparasitic drug used to treat malaria. Sachet of three tablets & such 50 sachets kept in multicolor laminated box. Total quantity in boxis 150 Tablets. Treatment of acute, uncomplicated Plasmodium falciparum malaria for patients in whom chloroquine resistance is suspected. It is used in mass drug administrations as well as in intermittent preventive therapy.